Hi! I'm Lovable Lola, but you can just call me Lola! 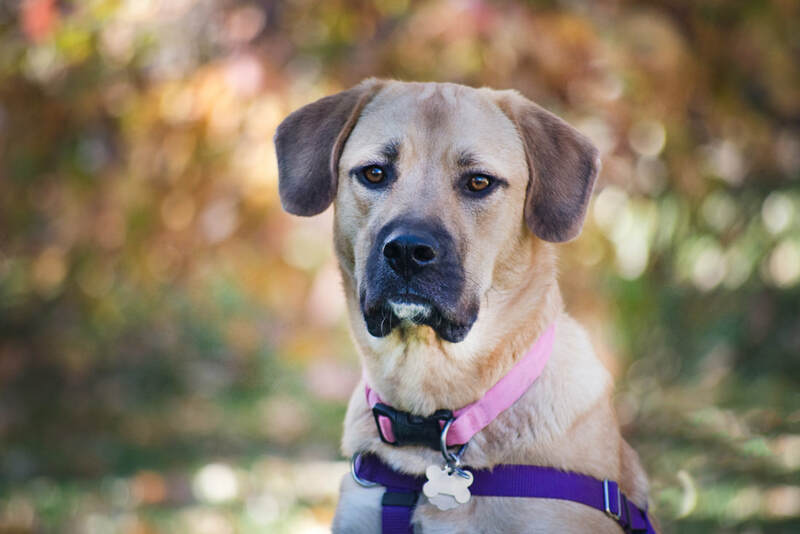 I'm a gorgeous Mastiff/Lab mix (but I don't know what gorgeous is), and I have beautiful eyes, soft ears and a heart of gold! I'm a sweetheart born in December 2016, so I'm a young girl who loves to learn and I'm eager to please. I love walks, hikes and playing with other dogs. I'm an excellent assistant to my foster dad, who works from home! My foster peeps have noticed that everyone who meets me falls in love with my sweet demeanor. I'm learning to play fetch and I have the cutest smile, complete with my tongue hanging out when I'm happy! Not only that, but check out my adorable eyeliner and white knee socks! They're not sure of my exact breed mix, but I'm definitely a mix of cuddle, play and joy! I weigh about 65 lbs., so my estimated adult size is 80 lbs. (the size of many adult labs, they say). I've lived with children, and I love the extra attention! Not only that, but I'm housetrained and up-to-date on all my doggie shots, plus I'm spayed and microchipped. And hey -- I even have my own professional video made by the amazing Molly Steele of M. Steele Photography! Scroll down to see me in action!